August was a busy month when it came to both work and doing stuff but I feel like this year is going so quickly. Can we make it stop please? Before we know it, it will be Christmas and then….New Year!! So before I forget everything that’s gone on this month, here’s my roundup of August events. Brussels has always been one of those places that i’ve been meaning to go to and I finally did it! 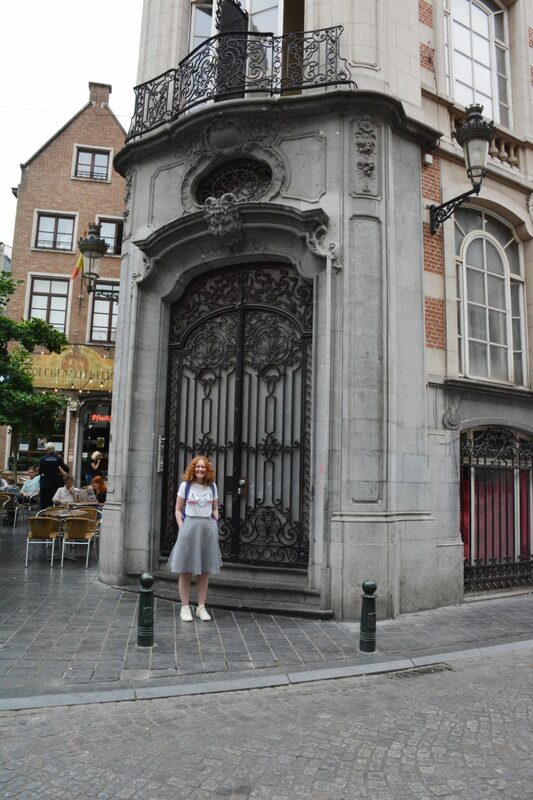 Having visited Belgium before for Pukkelpop festival, I wanted to see what the country’s capital was like and so when British Airways had a sale earlier this year I jumped at the chance. We stayed at the Sofitel Brussels Europe which was amazing. The staff were friendly, the room was massive and it was right in the centre of the European Quarter which meant we could walk to everywhere. While we were there, we caught U2 in concert, went on a walking tour around the city and visited the European Parliament museum. Me and The Cosy Traveller have got ourselves into a routine where we explore new areas of London. At the moment we’re hooked on getting cups of coffee and tea (she wouldn’t be the cosy traveller without tea) in hotel lobbys. We visited the Renaissance at St Pancras station and also went to the Landmark Hotel. Both were incredibly pretty. I like hanging out in hotels because it turns out to be really good value for money because you can just work there and hang out all day. When I lived in Beijing, i’d often go to one for my western snack fix and get some freelance work done. Definitely worth a go if you’re looking for a change of scenery when it comes to working. I went for both days with different groups of friends and we had the best time. The first day was family day so things were a bit more relaxed. We grabbed some beers and hung out at different stages taking in all of the different music. While on the second day, I met up with some friends from home and we watched the procession and at some points managed to get in it. We eat some great food and wandered around and the weather was amazing. Hannah Gale is my go to when it comes to well….life itself really. She did a great post on why we should be looking forward to Autumn. I seriously can’t wait to get back into my jumpers. You know what….i’m actually wearing one now. Emma from Paper Planes and Caramel Waffles has got me wanderlusting over UK travel spots. I really want to get back to Durdle Door before the end of the year. And after looking at the Barefoot Blonde’s post about Paris all I want to do is get back to one of my favourite cities and wander around. Maybe before the end of the year?! So there’s your update! Now let’s go slay September! "Working abroad: Finding a TEFL job"
"Seeing the world: Why you should take free walking tours"
Woo to our tea stops, and WOO to your blog redesign <3 You're already slaying September and we're only 4 days in! Awww thanks lady! Blog designs are so much fun!